It’s been said that first impressions are everything, we think that your impressions are everything, which is why we love to offer tours of our brewery. Our Peter Austin Brewing System is a source of great pride (and occasional consternation— it’s a poor brewer who blames his/her barrel). Brewing onsite is something that we believe allows us to offer a fresher and more consistent quality of beer. 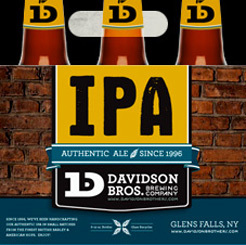 On a Davidson Brothers brewery tour you’ll slip past the bar and into the corner office of D-Bros. AJ, our brewmaster is usually there in his signature galoshes, black shorts and grimace. The open top process allows for impressive glimpses of the actual process and the humor, candor and knowledge of both AJ and Rick Davidson will have you smiling, nodding and itching to get a taste. 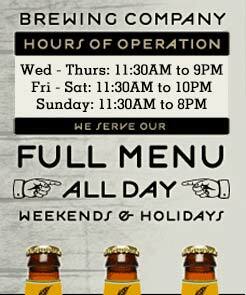 Give us a call or stop by and come watch a brew come true.